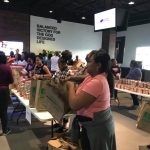 The YMCA of the Triangle opened its doors on Monday night to approximately 150 volunteers, who packed over 4,000 meal bags. 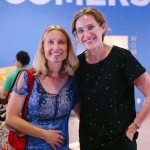 (Brian Kennedy and Jessica Burroughs contributed to this post.) 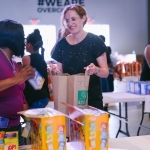 — North Carolina is the 10th hungriest state in the nation, and everyday schools and teachers play a vital role in making sure that hungry children, who come from more than 600,000 food insecure households, have enough to eat. 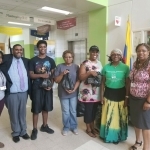 In addition to the thousands of free or reduced price lunches that are served each day, teachers are often reaching into their own pockets to purchase food and snacks for kids to ensure they are fed and ready to learn. 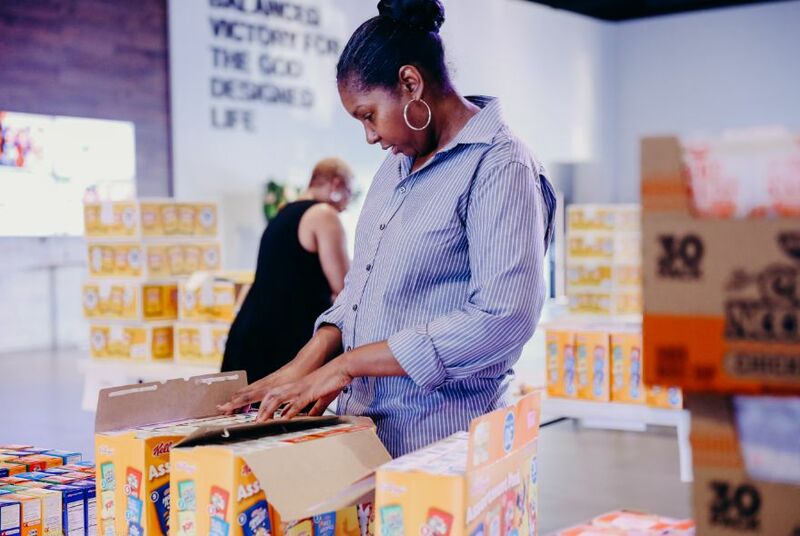 Addressing hunger is just one of the many things we ask of teachers beyond their duties of educating students. For this and many more reasons, community members are banding together to ensure that our educators receive the respect they deserve. 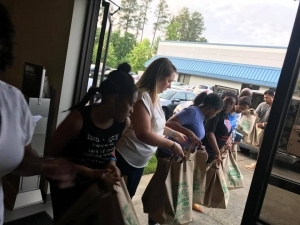 A hashtag associated with the May 16th NC Public Schools Day of Advocacy is #InThisTogether – a fitting sentiment to describe the outpouring of community support and the spirit of togetherness on display throughout Durham. 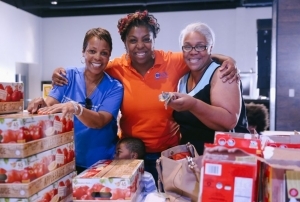 Led by volunteers with the Durham Association of Educators and the NC Council of Churches, countless nonprofits and community members have organized to provide every student who needs a meal on May 16th with a healthy breakfast, lunch and snack. While over 60 percent of Durham Public School students qualify for free or reduced price lunch, organizers set the goal early on in the coordinating process to ensure that every student who needs a meal have access to it. 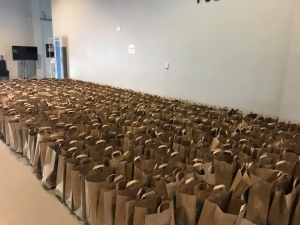 The snapshots in this post (see below) represent just a handful of the countless efforts taking place in Durham over the past few days to collect, pack, and deliver the food. 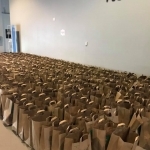 For more complete information about efforts in both the Triangle and across the state, check out Feeding North Carolina’s Students on May 16th from our friends at EdNC. 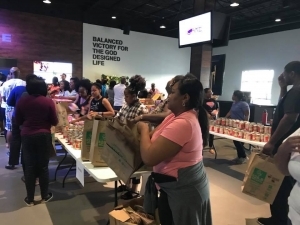 The images at left are from the World Overcomers Church, which hosted an energizing assembly-line packing station on Monday night. 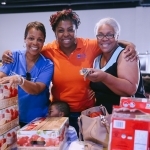 Pastor Ashley Carter, Director of CARE Inner City Missions, Inc. shared that “Tonight was pretty special. 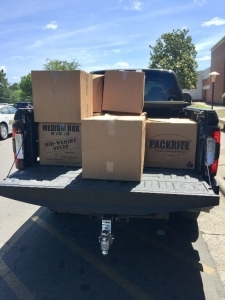 We packed for three schools with roughly 60 volunteers. 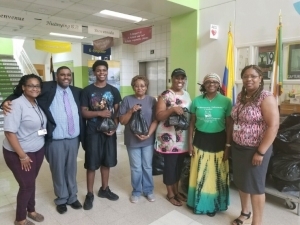 Among the volunteers were parents, students and teachers. We believe that ‘we do it better when we do it together,’ and when you help others, you will be blessed. 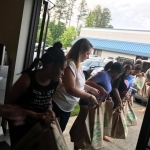 We also would like to thank Harris Teeter on Strickland Road for donating the bags we used to pack the food.” Volunteers from NC Momsrising.org joined congregants, including children as young as two years old, who all pitched in to pack over 1,000 bags of food. 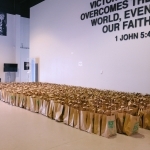 Immaculate Conception Catholic Church organized a food drive that yielded 159 bags of food, which were delivered to the downtown YMCA. 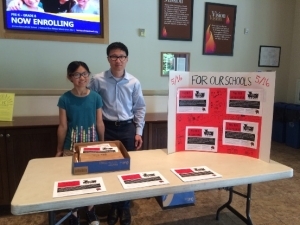 Here, Dr. Alex Cho and his daughter are staffing an information table at the church to raise awareness of this effort. 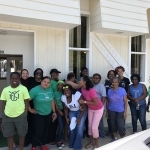 Elisha Muhammad with the Ar-Razzaq Islamic Center has been working with a committed group of community volunteers to ensure their local neighborhood schools will be covered.